In many ways we are a Victorian city, for all the Victorian style houses adorning many of our streets. However, Victorian is not a style of design. It’s a period of design, referring to the Victorian look in vogue from the 1830’s to the 1901 era. Now, we have the best collection of “painted ladies” on display in the world, and on January 22nd one of the most prized of these grand ladies went on the SF real estate market. You’ve probably seen her. Throned at 1701 Franklin Street, the 1895 Queen Anne in Pacific Heights epitomizes the gingerbread look of Victorians—and there are a lot of different looks of Victorians, by the way. The asking price is just $6.995 million. 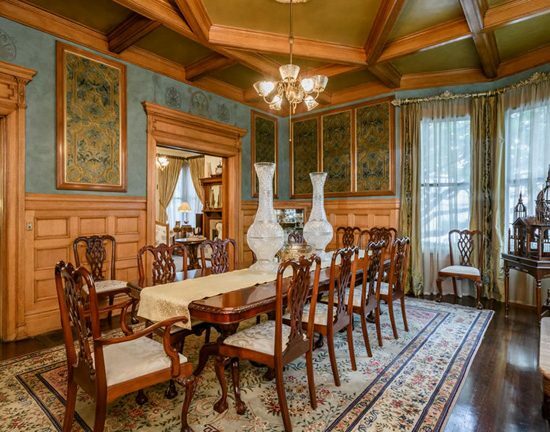 So, if you’ve got access to that kind of money, this 1895 beauty is all yours. In the house there are no lack of bedrooms. Eleven of them. Take your pick among the 9,000 square feet of rococo opulence that includes the original inlay floors, stout beamed ceilings, pocket doors, redwood moldings and, of course, beveled stained glass windows. The house has been kept as near to perfection as you can get by its current owners, so whomever picks up this Victorian is getting the real deal through and through. You might think that Tokyo has the highest construction costs on the planet. But, no. New York City holds that honor. And we in San Francisco are right behind the Big Apple for big construction costs. Our average per square foot is $330, according to a study done by Turner and Townsend construction consultants. 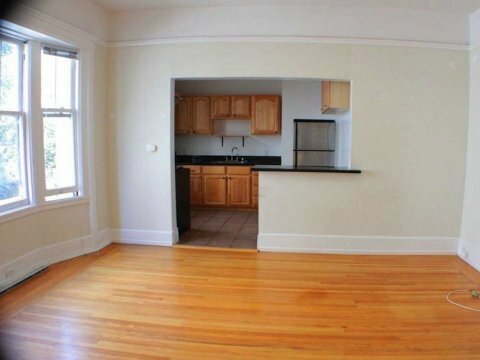 Take an average apartment in San Francisco. It takes $425,000 to build one apartment. That is steep, and those high costs make worse our housing crisis with its sky high rents or huge dollops of public monies needed to be poured in to help with rents. So, why are we the second in the world? In a nutshell, byzantine permitting process that often requires more and more permissions, building inspections that are not standardized or even codes that are not standardized, years-long labor shortages, and too-easy ways for opponents to delay projects. 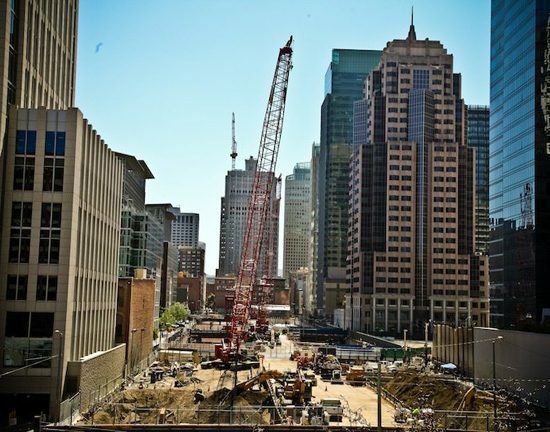 There’s a real dearth of subcontractors and skilled workers in San Francisco, which in a labor short market drives up costs and causes delays in construction, which all translates into more expenses. Construction workers are leaving SF to cheaper cities to live in – a house in SF now costing a median $1.5 million. San Franciscans love their pizza. One mathematically-and-pizza inclined person calculated that we in SF have 39,000 pizzas delivered every day. Or almost 541,000 every week. That’s only for delivery. Factor in eating at actual pizza eateries, or even buying from grocery stores, and you have megatons of pizzas eaten every year in San Francisco. 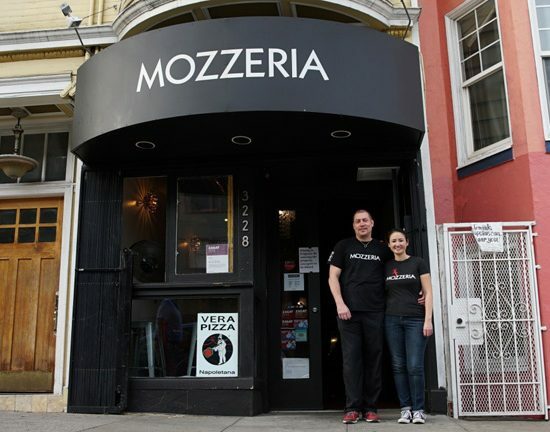 And now to add to our pizza lore, there’s a great little pizzeria over The Mission called Mozzeria that was started up Russ and Melody Stein. It’s Neapolitan-style and very popular with locals who line up out the door every night, and they have a food truck and do catering. But what makes this place very special is that Russ and Melody are deaf. They went through a lot to get their place open, taking two years to find the capital, which was turned down by banks not wanting to commit to deaf business owners in an already crowded restaurant market. But the two eventually got the funding, including a lot of help from organizations dedicated to entrepreneurs with disabilities. All of Mozzeria’s employees are deaf. Now, in another first for SF citizens, the pair are the first deaf restaurant entrepreneurs to go for a franchise operation across the country, and to hire deaf people into the operation. Melody Stein recognized the franchise opportunity for deaf-employee pizza restaurants on a food truck tour she did across the U.S. The first franchise is slated to open this summer in 2018. Cable cars are an iconic fixture of San Francisco, as much an instantly recognizable emblem of the city as the Golden Gate Bridge. Love ‘em or not so much love ‘em, they’re here for the long haul of history — despite attempts to have them more short lived. On January 17th we celebrated Cable Car Day with some bell-ringing fan fare and pageantry, and sf.curbed.com put out a story on 27 facts about our SF cable cars you probably didn’t have memorized. 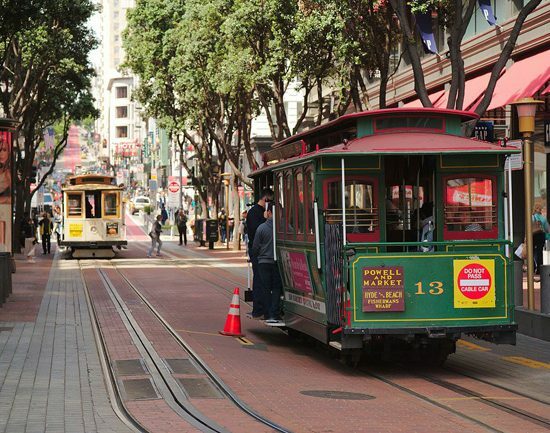 The first SF cable car line started September 1, 1873, servicing Clay Street. The cost for the Clay Street line: $85,150, about $1.64 million nowadays. The original cable car was actually two cars, the “dummy car” that gripped and breaked on the line, and the passenger car behind it. San Franciscans kept jumping into the dummy car to catch a ride so the engineers combined the two. Before the 1906 great earthquake there were over 600 cable cars roaming SF streets. That number shrank to 100 by 1912. Now, there are 40. The first bell-ringing competition was at Union Square in 1949. Click here to check out the rest of the facts. I trust Cece’s knowledge, skills, and character so implicitly that I’m a return customer. Cece helped me find my dream condo in 2010 and then did an amazing job selling it in 2017. Both times I felt like I was in the best hands possible, for two main reasons: First, she was absolutely looking out for my best interests above all else. Second, other agents prefer working with her because she is such a pro and such a lovely person, and this made me a more desirable candidate when buying my condo. I am so grateful to Cece and her stellar team. 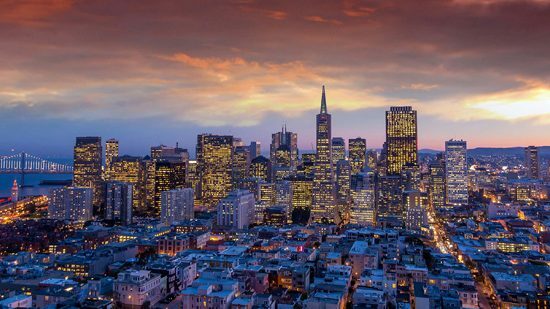 You may be wondering what are the predicted trends for San Francisco this year in the city’s hospitality world? We’re looking at next generation mobile apps, or robot automatons using their digital brains to run a hotel, hotel lobby offerings that are very high end, to farm-to-shaker cocktails, to very targeted cuisine niches. Bizjournals.com put together an article and slide show discussing this year’s trends. California’s hotel hospitality is in big growth. 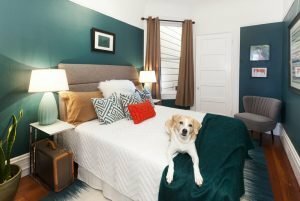 Last year, the state set a new record for hotel room openings with 10,790 rooms set to receive guests—beating the record set in 2008. 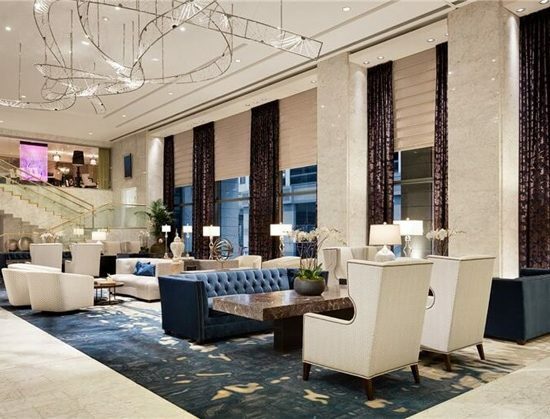 In San Francisco, four hotels will be opening this year, adding 670 rooms to the city’s inventory, on top of 290 from last year with Hotel Via’s and Proper Hotel’s door-opening. Regional cuisine is in, in, in—from Mexican to Chinese to Israeli and all points inbetween. Jewish delis are expanding with eager popularity in the city. Okay, call them “mocktails,” those drinks sans alcohol, and they’re in this year. And restaurants are working on introducing their own wine labels. Cashless payment systems where you’re not dealing with people to pay are being adopted by more casual eateries. Look for ordering kiosks and digital menus in some of your fav restaurants, a means of owners dealing with worker shortage. Click here to check out the article and slideshow. Move cursor over map to reveal median sales prices by neighborhood. Another milestone, or population-stone, hit in the final days of 2017. California now has just shy of 40 million Californians populating its cities, towns, villages, farms, ranches, hideaways and off-the-grid homes. Which means we’re the most populous state in the union, and if we were our own country we’d be a big player on the world stage in many measures. This figure comes from the CA Department of Finance. Taking a year ending on July 1, 2017, the population grew by 300,000 in that year, so by now we may be getting closer to the actual 40 mil mark. Most of the added Californians were by birth. And now our golden state has 9 counties inhabited by more than 1 million people per county: Alameda, Contra Costa, Sacramento, Santa Clara, San Diego, Los Angeles, San Bernardino, Riverside and Orange. Our very own San Francisco county has 880,000 people, and we are 12th in the state in county populations. The above biggest-peopled CA counties make up 70 percent of the state’s population. More people came into the state than left it, with 80,000 people moving in. We didn’t lose our place in the national firmament of zingy rental pricings. As of the end of December 2017, reflecting the last quarter of the year, San Francisco was still the most expensive city in the country to rent. We top out New York City by $500 in that record. This was despite a slight decline in rent costs across much of the city: median one-bedrooms went for $3,390 and median two-bedroom units went for $4,380. This is according to the Zumper site. They attributed the drop to winter season jostling, with Cole Valley and Lower Pacific Heights sliding down the most at 9%. 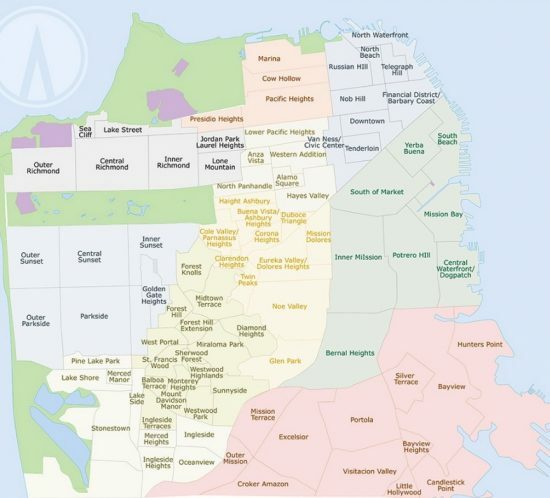 The most expensive SF neighborhoods (located in the northeast quadrant of the city) remained static in price. The biggest rises in SF rent were churned up by Lake Street at 11% and the Mission at 8%. 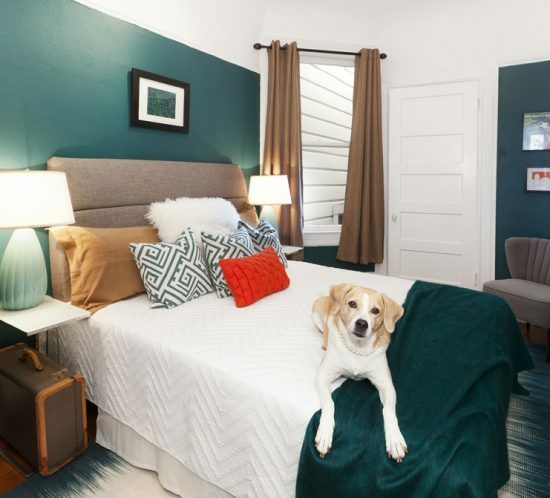 Crystal Chen, of Zumper, noted there’s a high demand for rentals in the Mission, alongside of new projects with higher prices just coming into the rental stream. Architecture exteriors can amaze us with classic or nouveau design and technically brilliant engineering. But it is building interiors that evoke inspiration, upliftment and mouth agape gasps at beauty. 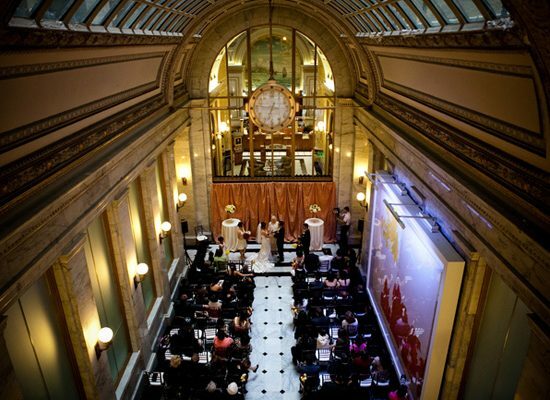 San Francisco has to be one of the most fabulous interior-design-and-décor cities in the world. Yet, we wouldn’t ordinarily know what is what and which is which. Now, the folks at sfcurbed.com have created an interactive online map of the twenty best interiors in the city. Wouldn’t you know it, the Art Deco-style U.S. Post Office at Embarcadero is number twenty with 27 wall murals by Anton Refregier. The map was assembled according to sfcurbed.com readers’ picks, so it’s reflective of a fairly broad swathe of San Franciscans’ tastes. And the list includes what you’d expect—churches and hotels—but also what you wouldn’t expect: bathrooms. The map shows the city as a map grid, with teardrops numbered from west to east marking the dazzling interiors. Click on the number/teardrop and you’re coordinated to a picture and blurb about the place over on the left side of the map. Very cool. Click here for the Best Interiors of San Francisco Interactive Map.